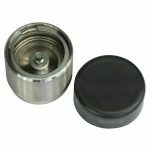 Bearing Buddy® fallen off or stolen? This simple question has never satisfactorily been answered. There is overwhelming support for the theory of stolen Bearing Buddy that we decided to investigate the science. We have measured hubs and drums from Alko and found them to be the most accurate. Other brands did not fare as well with both loose fitting machine fits and out of round fits. The out of round fit means the bearing buddy would spin in an elliptical fashion and eventually sping itself out of the hub. 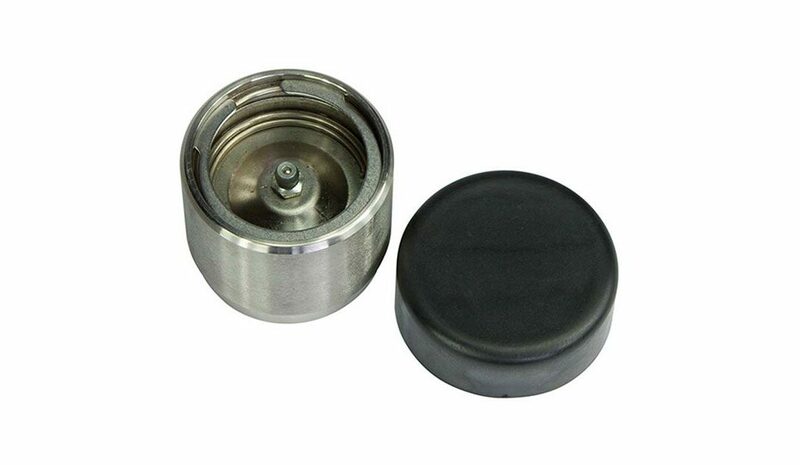 Standard dust caps are a compression or taper fit. The outside of the lip is larger than the profile of the lip of the dust cap. The inside ID of a hub can vary by 0.2mm. When the dust cap is inserted into a trailer hub, the outer lip is compressed against the inside of the hub (the hub boss). Therefore, pressure keeps the dust cap in position thereby making a compression fit flexible enough to make a good seal with variation in hub sizes. Bearing Buddy® is a machine fit as opposed to a compression fit. Machine fit sizes are not as flexible as compression fits. You may lose your bearing buddy® on the first bump in the road unless you are aware of precautions. In reality, a 63mm bearing buddy® will fall off the wheel at the first bump where a 63.4mm unit will be difficult to insert. Locktite, locktite, locktite. Chose a Medium strength locktite even if your bearing buddy® is tight. Do not use high strength or you will NEVER get it off to adjust your bearings. Umm, too late? Have you already used the high strength locktite? Well, I am afraid you will have to use a 5kg lump hammer and whack it off!! Finally, buy Bearing Buddy for Trailers & Caravans … click here.